When asked about the best thing that happened to me this past week, I could only answer my introduction into a whole new world in the northern part of my new county. 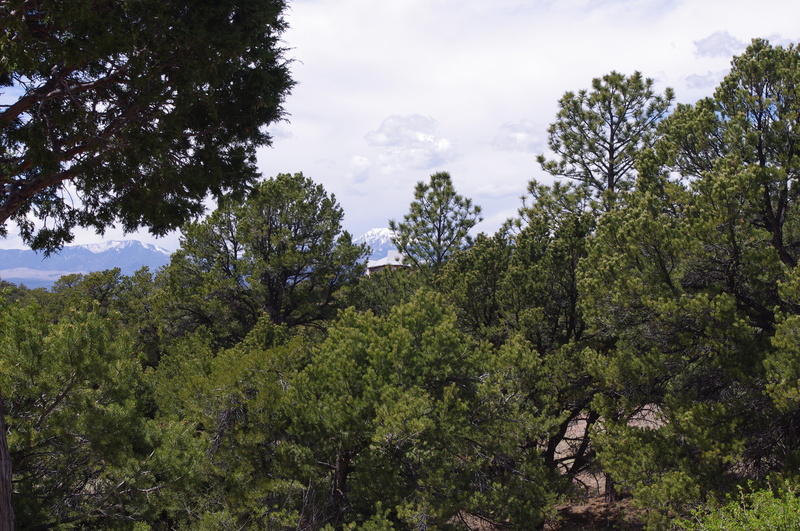 Since moving to Huerfano County in southern Colorado last June, I have heard various references to the Libre Community, established here in the late 1960s as an alternative to traditional American life. Some call it a hippie commune, but Libre is a community of families or individuals who have been invited to build their own homes. These structures as well as the land they are built can never be sold. Which is why Libre has endured since 1968 while the communes of northern New Mexico and southern Colorado are long gone. New members were required to build their own homes and then homes were traded between members as needed. Luckily I connected with one of the elder members of this community at a local function. Sibylla invited Mike and me up to see and learn more about the history of Libre. So last Saturday we took a drive up to see these rural dome homes built in the shadow of the Wet Mountains. Sibylla now lives in what she calls her “hobbit house” which I found quite an apt description. 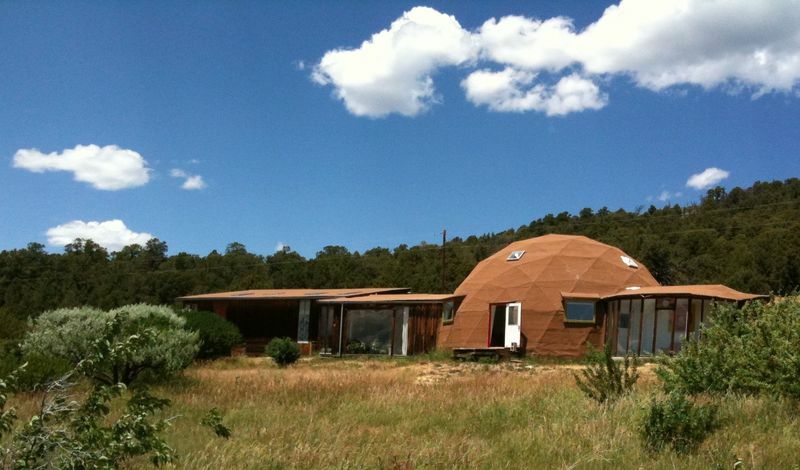 Most of these dome homes started small and were added on to through the years. Sybylla is a transplant from Germany. She and her husband moved to Libre in the early 1970s and built a larger home for their family. Now she lives alone and so she has moved to the hobbit house. We enjoyed her hospitality, wonderful stories and a cup of tea on her back patio while looking at tremendous views of the distant mountains. She referred to her bird feeder as her television as they have no TV or Internet up there, and the phone gets hit by lightening sometimes! Sibylla is an artist like many who came to Libre. After a few hours of fascinating conversation, Sibylla took us next door to meet her partner Dean Fleming, a founding member of the Libre Community. 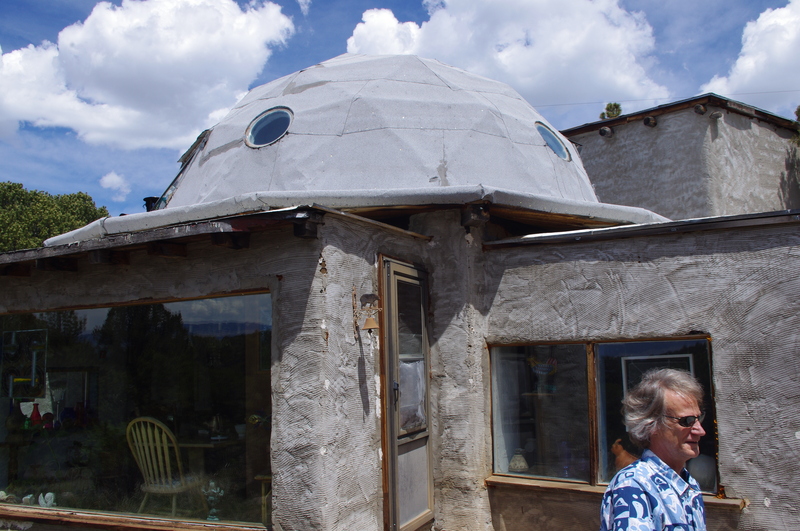 Dean lives in a larger dome house which he uses as his art studio. The views of the Wet Mountains were amazing from here. I’ve never been to a 1960’s commune. I’ve been to a former Utopian community, the Amana Colonies, in Iowa. I was there a couple of times in the 1970’s and a couple of more times in the 2002-2003 period. It is fascinating to see how these communities evolve as the members age. Libre is not a commune. It is a community of families or individuals who have been invited to build their own homes. These structures at Libre as well as the land they are built can never be sold. Which is why Libre has endured since 1968 while the communes of northern New Mexico and southern Colorado are long gone. Thanks for the corrections Jonathan.